With the start of the New Year comes plenty of resolutions and/or goals that will go into place. Including those that are unique to a personality or particular situation, as well as those that are seemingly universal. There are a number of resolutions that are repeated and requested year after year, too, proving to be crowd favorites. For instance, eating better and going to the gym, reading more books, reaching personal finish lines, and more. Rather than looking at each of those as "just another resolution" others have, however, why not consider using those very wishes in your favor? You've already got the information, after all, now put it to good use! No matter what type of industry you're heading into, this goal is a doozy. In general, because so many are striving toward it. Whether or not you're a health-related industry, use the healthy theme to market and promote your services. Even if only used as an advertising theme, it can help remind customers that you're on their side, and what you have to offer is help, as well as a pretty great service. Sometimes a word of encouragement is enough to put someone in a great mood and continue their forward goals. You can encourage the readers out there in a number of different ways. Use famous quotes on social media, offer free eBook vouchers as a promotion, host a free library program within your lobby. Offer newspapers in-house that customers can read while they visit – no it's not a book, but we're willing to guess they'll still be excited about the gesture. Whatever your final decision (whether it be one or multiple of the above), you can easily draw in the reading crowd and help to get them excited about moving forward – while frequenting your franchise in the process. Another resolution that's often seen is to become a better person. Whether all at once, or in a specific area of their life. This can be played up whether or not you're conquering the whole resolution angle. Train employees to be friendly and kind, in all scenarios. Share positive sayings and smiles on (and with) signage, and more. Incorporating these sections within your brand's habits is a great way to spread cheer, with the added bonus of appealing to those looking for that exact type of atmosphere. For many, it's a lifelong dream to complete X, that, for some reason or another, has yet to be pinned down. Though they have the want and the desire, a resolution is the push they need in order to bring that goal to an achievable status. What's tricky about these goals is that everyone's might be different – one might want to run a marathon, another might want to brew their own beer, travel the world with a backpack, and so on. The good news, however, is that it means everyone is working toward something – including you with your new business! Use the continued theme of reaching one's goal, and you can easily appeal to the masses. Bad habits are something to get rid of in the New Year, and all-too-many customers realize that needs to be a goal. However, with it being a favorite vice, they're also drawn back in … repeatedly. Consider offering rewards for customers who haven't smoked for a week, or who gave up soda after a years-long battle, include those swearing off sweets, sitting, a fourth cup of coffee, or even excess TV. Whatever it is someone decided to give up, reward them for their bravery and encourage all forward progress. They're likely to remember your company's kindness, too, hopefully by becoming a regular. Offer free stats or discounts on local lessons as a reward service. You can even host weekly or monthly events where consumers gain access to a new skill, right there within your business. Meanwhile, you're drawing in repeat and new shoppers alike, all who are likely to be impressed with all their new learning connections. Why not create incentives and an easy way for others to sign up to help? Work with local charities and create sign-up sheets, workweek programs, and more, that can all be easily accessed by your customers. Specifically, those who are wanting to brush up on their helping-others skills. You might even pick up a few stragglers along the way, too. 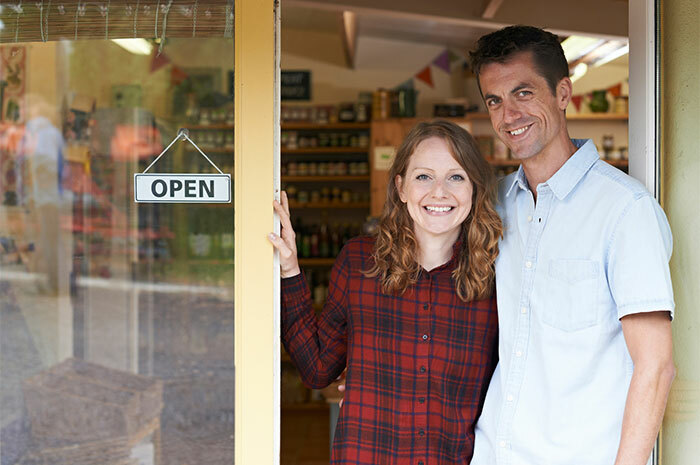 Though this might seem counter-productive while opening a new business, you actually can help others save cash … while still shopping your store. Consider a contest where the winner gets money, or a discount for repeat customers, and more. Get creative and help others save, but without skipping out on your incredible business! In marketing, there are a number of ways you can help promote your new business through New Year's resolutions. But that's not their only source of motivation, either. You can also put these same mantras into place to motivate yourself with business progress, and to gain better business insight. No matter where you might be in the franchising process, remember these universal tips for self and customer motivation that will last well past the start of 2017.